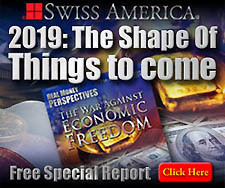 Investment Market News Blog | Swiss America Trading Corp.
"Financial writer and precious metals expert Bill Holter is 'not worried at all' about the current price smash down for precious metals. Holter says, 'We live in a world where all liabilities are more than all liabilities in history...If you see a house burn down, the only thing left is the foundation. That's the only thing left because the foundation doesn't burn. That's what gold and silver are, and that's what’s going to be left when this house of financial cards burns down.'.... 'The entire system is a liability. So, some people are getting some of their money out of the system into real money (gold and silver) which is no one else's liability...The biggest thing is there is too much debt in the system. Everybody owes everybody, and all you need is one link in the chain to break. All you need is one entity that cannot make good on what they promised.'" "Real income for America's bottom 90% reached an all-time high in 1999, and at the time Pew Research found that 81% of Americans agreed that free enterprise was a major reason for the country's success in the 20th century. By June 2015, however, Gallup reported 47% would vote for a socialist. What happened? Real income for the bottom 90%, as measured for the World Top Incomes Database, declined after 1999 and never rebounded. Two terms each of Republican and Democratic administrations failed to end this stagnation, which says all you need to know about why Donald Trump was elected president. Now wages are rising at robust rates - above 3% a year - thanks to cuts in taxes and regulation, with the largest wage increases going to low-wage workers....The Fed still operates on the 'professor standard,' enshrined with Bill Clinton's nominations of pure academics. Their textbooks say strong economic growth, particularly strong wage growth, causes inflation, which Fed policy should temper. Both the Bush and Obama administrations perpetuated the professor standard, and both presided over income stagnation. Ending that stagnation is one goal that unites the political spectrum...The professor standard doesn't work, and the Fed needs new voices to argue for an approach that does....The prosperity of the 1980s and 1990s gave way to stagnation precisely because dollar stability gave way to volatility. Blame the professor standard....The best way to achieve full employment, price stability, economic growth strong enough to solve our fiscal problems, and sustained income growth for the striving majority is for the Fed to stabilize the dollar. The professor standard will not challenge itself - that much has been proved. That's why my voice is needed at the Fed." "Both of President Donald Trump's apparent picks for open seats on the Federal Reserve Board of Governors, Stephen Moore and Herman Cain, are interested in fixing the price of the dollar in quantities of gold - bringing back a system that President Richard Nixon abandoned in 1971....While campaigning for president in 2016, Trump told GQ, 'Bringing back the gold standard would be very hard to do, but boy, would it be wonderful. 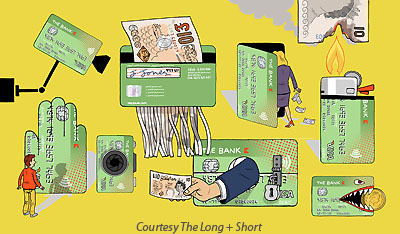 We'd have a standard on which to base our money.' Moore was an adviser to Trump in his 2016 presidential campaign and is a distinguished visiting fellow at the conservative Heritage Foundation. He hasn't been formally nominated to the Fed board, but National Economic Council chief Larry Kudlow said on April 2 that the administration is 'fully behind' him...Bloomberg News and other news media reported on Thursday that Trump intends to nominate Herman Cain, former chief executive officer of Godfather's Pizza, for another open seat at the Fed. Cain ran for the Republican presidential nomination in 2012. He promoted a 9-9-9 plan, which would have replaced much of today's tax code with 9 percent taxes on sales, individual income, and corporate income....Trump's new picks for the Fed are a win for Austrian School followers and others who think Nixon made a big mistake by taking the dollar off the gold standard." "When the Justice Department releases Special Counsel Robert Mueller's report this morning...it will be placed in the public domain. That means you'll be able to download the report for free to read on your computer or smartphone, to print out, or to email to your friends who don't know where to find it. That’s not stopping Barnes & Noble, the bookseller, from offering its own version of the Mueller report as a free download on its Nook tablet-and-app ebook platform. 'We've received strong demand from our customers for this report,' Tim Mantel, the company's chief merchandising officer said in a statement, 'and want to make it as easy as possible for them to access it for free as soon as possible.' Barnes & Noble is also selling a print edition of the report, with an introduction by the famed constitutional-law expert Alan Dershowitz. The paperback costs $9.20. If Dershowitz isn't your bag, don't worry, there will be other options. The Washington Post's edition, for sale on Amazon for $10.50, promises 'exclusive analysis' by the paper’s Pulitzer Prize-winning staff, a prospect that the book's publisher, Scribner, claims will make the edition 'the most complete and authoritative available. '....This isn’t anything new. The Post also added its analysis to an edition of Kenneth Starr's report on the Bill Clinton investigation in 1998....And then, of course, there's what comes next: Once the report is released, anyone is free to use it for any purpose, including commercial use. That means you can do whatever else you want with the report - no copyright restrictions prevent you from making motivational posters, screen-printing T-shirts, or embroidering baseball caps with excerpts.... If the government produces raw materials that citizens can exploit for profit if they choose, then why not take advantage of the opportunity?....But the spirit of the free ebook download risks advancing that the government is not a civic organization that serves its people and asks nothing in return, but just another resource to mine for profit." "Gold prices could reach $1,400 per ounce in 2019 due to the US Federal Reserve’s less aggressive stance on interest rates, bullion purchases by central banks and lingering global uncertainties, market analysts explain. 'I think that we expect gold to continue to trade pretty much within that range for the coming months,' said Martin Huxley, global head of precious metals at financial services firm INTL FCStone. 'But over the second half of the year we expect it then to grind higher, and potentially it could test 1,400 towards the end of the year,' he told CNBC, referring to gold's price per ounce in relation to the dollar. According to Huxley, the Federal Reserve's signal that there will be no more interest rate hikes this year has helped boost the outlook for gold and other metals. 'The view is that there won't be any interest rate rises this year, which again will be supportive for the precious metals sector,' he said....Central banks have been accumulating gold at levels not seen in 50 years, as part of a broader diversification of reserves away from currencies including the US dollar." "Advances in technology are causing a paradigm shift in the banking industry with those that are taking advantage of the trends becoming immensely successful. As a result, central banks all over the world from Canada to Ireland are exploring the possibility of issuing digital currencies in the future. A member of the executive board of the European Central Bank, Benoit Coeure told an IMF-World Bank meeting last week there was an ongoing broad movement in most parts of the world to eliminate the use of printed currency. In a world where only a small percentage of transactions are conducted in cash, only the United States doesn't seem to join the trend, as more people there write checks than use digital payments. Globally, however, digital Payments are becoming the norm at a stunning pace. According to a report by the South China Morning Post, governments and central banks are agreeing on the importance of gradually eliminating cash. They claim the absence of cash could help in reducing crime and terrorism and expedite monetary policy besides helping the global economy....The bottom line is that the war on cash is all about control, banks and governments have for ages been able to control the masses while the monetary authorities claim their motive is to reduce crime, terrorism, drug dealing, counterfeiting, etc." Swiss America's The Secret War explains why the government will soon require every financial transaction to be taxable, trackable... and blockable! The report is yours free by calling 800-289-2646 or register HERE. "Today the United States sits in the midst of the largest wealth bubble in post-World War II history, as measured by household net worth (or wealth) relative to gross domestic product...Only two other postwar bubbles come close, with peaks in 1999 and 2006, just prior to the tech stock crash and the Great Recession. No one should ignore the risk that this bubble will burst, as did the previous two, with declines in the value of stocks DJIA, homes, and other assets accompanied by recession, unemployment, and disruption in the plans and lives of many Americans. We're not off the hook, however, should the bubble fail to burst or should peak valuations decline only gradually....Even without a sudden crash, there likely would be a gradual reversal of the extraordinary period of 'bonus appreciation' that, since the mid-1990s, entailed gains of more than $20 trillion in household net worth....I suspect that the best of macro policy makers will soon discover that this modern, roller-coaster version of a Tower of Babel cannot reach ever heavenward.... I can't tell you what are the best investments, but certainly keep aside enough safe and relatively risk-free investments both as protection against a crash and as a source of investment funds later." "The International Monetary Fund cut its outlook for global growth to the lowest since the financial crisis amid a bleaker outlook in most major advanced economies and signs that higher tariffs are weighing on trade. The world economy will grow 3.3 percent this year, down from the 3.5 percent the IMF had forecast for 2019 in January, the fund said Tuesday in its latest World Economic Outlook. The 2019 growth rate would be the weakest since 2009, when the world economy shrank. It’s the third time the IMF has downgraded its outlook in six months. 'This is a delicate moment' for the global economy, Gita Gopinath, who recently became the IMF's chief economist, said at a press briefing in Washington....The fund cut its forecast for U.S. growth to 2.3 percent this year, down 0.2 percentage point since the IMF's last global outlook in January. The downgrade reflects the impact of the partial government shutdown that ended in January, as well as lower-than-expected public spending....The IMF slashed its outlook for the euro area to 1.3 percent this year, down 0.3 point from three months ago." "Vladimir Putin's quest to break Russia's reliance on the U.S. dollar has set off a literal gold rush. Within the span of a decade, the country quadrupled its bullion reserves, and 2018 marked the most ambitious year yet. And the pace is keeping up so far this year. Data from the central bank show that holdings rose by 1 million ounces in February, the most since November. The data shows that Russia is making rapid progress in its effort to diversify away from American assets. Analysts, who have coined the term de-dollarization, speculate about the global economic impacts if more countries adopt a similar philosophy and what it could mean for the dollar’s desirability compared with other assets, such as gold or the Chinese yuan. French President Emmanuel Macron said in an interview with CNN in November that European corporations and entities are too dependent on the U.S. currency, calling it 'an issue of sovereignty. '....Central bank buying has helped 'strengthen gold from a weak hand to a strong hand' and supported gold prices in recent years, according to Ronald-Peter Stoeferle, managing partner at Liechtenstein-based asset manager Incrementum AG. Bullion has risen more than 20 percent since the start of 2016." "We've all seen some version of the following Reserve Currency chart. 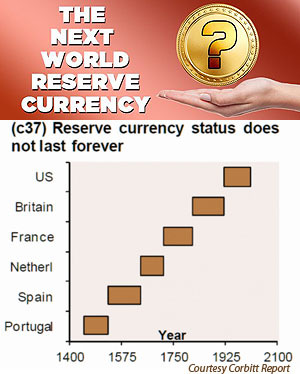 It purports to show the changeover in world reserve currencies from one era to the next...The implication is obvious: No empire lasts forever, and sooner or later that empire will fall, and with it the world reserve status of its currency....The other implication of this chart stands out like a sore thumb: The American Empire's time is running out, and the dollar is going to go down with it...So here's the real question: If the dollar is going to go down, what will replace it?....Throughout much of the past several hundred years, the real reserve currency was gold. It is anyone's guess what the next world reserve currency will look like, but one thing is for certain: it will either include gold as part of its backing or it will be tradable for gold at a rate that reflects gold's current value. This is the reason that some of the biggest detractors of the dollar's world reserve status - perhaps most notably Russia and China - have been hoarding gold like crazy in recent years....There are already groups seeking to tokenize the world's resources to create a new blockchain-based currency called the 'Earth Dollar.' The Earth Dollar Alliance describes the Earth Dollar as 'the world's first anti-inflationary asset-backed stablecoin and community currency, backed by 3.63 trillion Swiss Francs, 3.22 trillion Euros of Natural Capital Assets of the Earth, where our collective wealth can increase by protecting and restoring the Earth. '....It's doubtful that the Earth Dollar is the currency that the banksters have in mind...But there is no doubt that the banksters are considering a move to some sort of centrally-administered blockchain currency as the backbone for the world banking system....It's entirely possible that if the dollar was to die a sudden death, gold could be used as an international settlement currency...But two things are certain: The international bankster oligarchy loves their inflation too much to nail any future world system to a cross of gold. and; The international bankster oligarchy wants to replace the current nation state system with a global system of control (with them in the positions of power, of course). So if the banksters get their way, it is very unlikely that a national currency will be the bedrock of the international order ever again." 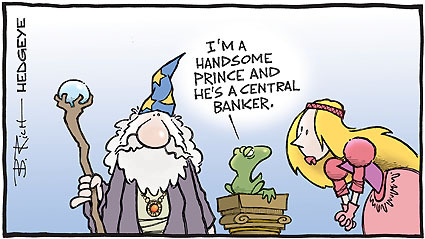 "The U.S. dollar, as it stands, remains the king of currency. However, its status could be challenged in the coming years. Don’t take the greenback for granted, as it may lose a lot of value. In fact, a scenario not unlike a collapse could be possible....The U.S. dollar is king because there's a global demand for it. But right now, that demand is being challenged. One of the biggest rivals of the U.S. dollar currently is the Chinese yuan....At the end of 2017, central banks held $123.5 billion worth of the Chinese yuan. At the end of 2018, it was $202.8 billion. That means that in a matter of a few quarters, the yuan holdings at central banks increased over 64%....The greenback's value is highly dependent on what the U.S. government does. Unfortunately, as it stands, the government continues to spend without remorse....The Federal Reserve's behavior is suggesting that it wants the U.S. dollar to go lower...Long-term, I think the value of the U.S. dollar could be much lower in the next five years than it is currently." "I never got to see the Cathedral of Notre Dame. And now I never will. Although they’re already saying it’ll be rebuilt someday - and it's hard to imagine that such a beautiful place could be left forever in ruins - it can never be rebuilt to what it was just this morning. It's nearly unbearable to think about how much has been lost. A cathedral that withstood the bloodshed of revolution and the ravages of two world wars, tumbling in clouds of dark smoke, seemingly impossible to stop. This is a disaster for Paris and for France, for French history, and for French Catholics. It is a grave loss for the history of Western civilization, and for future generations....Though Notre Dame de Paris is a testament to world history, to art, to architecture, and to centuries of civilization, above all she is - was - a place of inestimable beauty dedicated to God. The cathedral's Gothic arches pointed heavenward not for their own sake, not to glorify their creator, but to direct the eye to God....Watching this holy place slowly collapse at the start of Holy Week - which will culminate in the commemoration of Jesus's passion, death, and resurrection - is of undeniable significance. Notre Dame has fallen, the way everything in the earthly city must. She will not rise from these ashes as she was. Catholics take comfort in the belief that our Church will stand firm." Gold last traded at $1,291 an ounce. Silver at $14.79 an ounce. NEWS SUMMARY: Precious metal prices traded mixed Monday on a flat dollar. U.S. stocks fell as investors digested mixed quarterly numbers from big banks like Goldman Sachs and Citigroup. "Large speculators upped their bullish positioning in gold...during the most recent reporting week for data compiled by the Commodity Futures Trading Commission....Net long or short positioning in the CFTC data reflect the difference between the total number of bullish (long) and bearish (short) contracts. 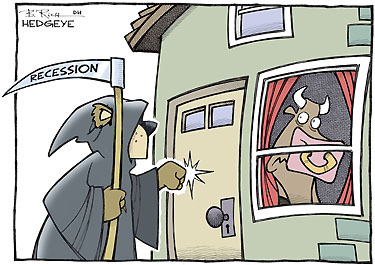 Traders monitor the data to gauge the general mood of speculators....'Funds were probably looking at the Federal Reserve being more accommodative,' said Phil Flynn, senior market analyst with Price Futures Group. That would prompt expectations for a softer U.S. dollar and as a result, help prop up gold, he continued. Following a corrective U.S. dollar trend, stronger gold prices … 'prompted money managers to load up,' said TD Securities." "Economic growth won’t last as the U.S. labors under the burden of growing entitlement programs and weakness around the world, former Federal Reserve Chairman Alan Greenspan told CNBC....'I think the real problem is over the long run, we’ve got this significant continued drain coming from entitlements, which are basically draining capital investment dollar for dollar,' he told CNBC's Sara Eisen during a 'Squawk on the Street' interview. 'Without any major change in entitlements, entitlements are going to rise. Why? Because the population is aging. There's no way to reverse that, and the politics of it are awful, as you well know,' Greenspan added....The economy 'is going to begin to fade out because Europe is not doing well and we still have a problem where there's a very substantial fiscal problem associated with entitlements.'" "The 70 percent income tax scheme of Rep. Alexandria Ocasio-Cortez and the closely related wealth tax proposal of Sen. Elizabeth Warren would take federal taxation into historically unprecedented territory....To advocates of these policies such as economists Thomas Piketty, Emmanuel Saez, and Gabriel Zucman, they simply seek to restore an allegedly lost progressive legacy of high income taxation from the early and middle twentieth century....The federal income tax came into being after the ratification of the 16th Amendment in 1913, but its purpose had little to do with 'correcting' income inequality. Rather, the income tax's origins trace to an obscure debate over another issue that's seen a resurgence of attention in recent years, the protective tariff. The story of the 16th Amendment begins in early 1909 after President Taft called upon Congress to revise the existing tariff schedule of the U.S. Tariffs at the time were technically a revenue generator. Before the income tax, import taxes actually provided the largest share of the federal government’s revenue stream....By 1909, battling directly over tariffs meant certain failure. Shortly after Sen. Aldrich brought his tariff bill to the Senate floor in April 1909, Democratic Sen. Joseph Weldon Bailey of Texas decided on a bold alternative strategy. Rather than attack the tariff head-on and ensuring their defeat...He proposed a parallel federal income tax, aiming to partially 'swap' this new source of tax intake for the revenue stream that came from tariff assessments....In order to peel enough votes away from Bailey's competing income tax bill, Aldrich had to offer a consolation prize. In exchange for other senators' abandoning the Bailey plan, he would permit a constitutional amendment to come to the floor in its place, thereby resolving the obstacles to income taxation caused by the 1896 Supreme Court ruling and avoiding the need for another future court challenge on the subject. From these obscure origins in turn-of-the-century tariff politics, the 16th Amendment was born....Income tax history provides many lessons on both the effects and perils of high tax rates. Foremost among these is a tendency to incentivize tax avoidance behavior by the wealthiest earners."